Bill Gates/YouTubeBill Gates and Warren Buffett in a candy shop. Bill Gates and Warren Buffett got all nostalgic in a video inside vintage candy shop Fairmont Antiques & Mercantile in Omaha, Nebraska. Buffett, who has a famous sweet tooth, couldn’t pick his favourite candy as he surveyed the shelves. 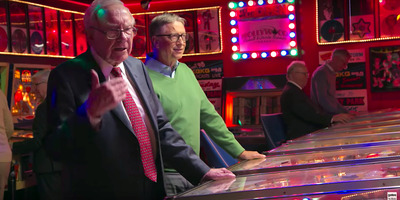 The pair also reflected on their first business ventures, with Buffett saying that buying a pinball game was the peak of his career. 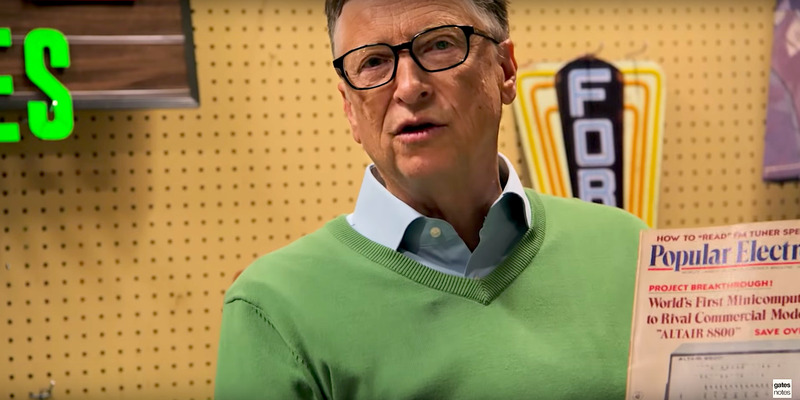 Gates posted the video on YouTube and blogged on his website about the visit to Fairmont Antiques & Mercantile in Omaha, Nebraska, during Berkshire Hathaway’s shareholder meeting on May 5. 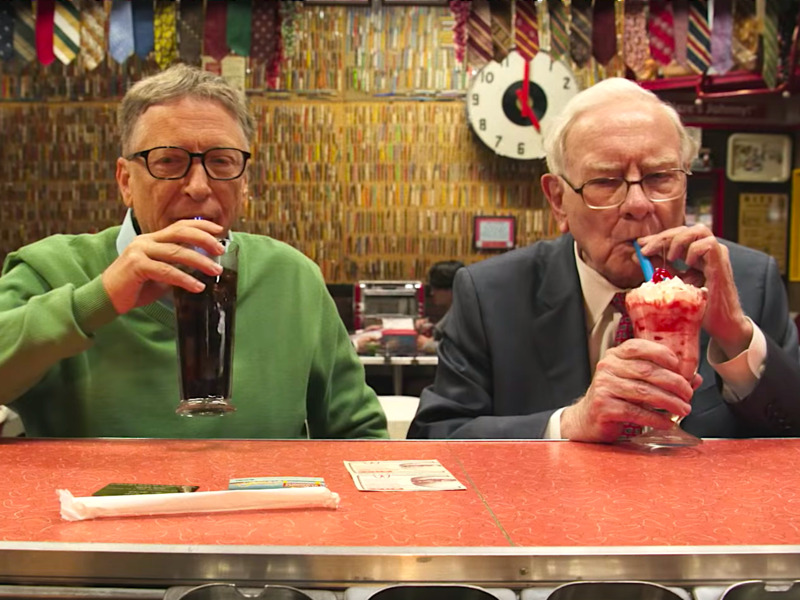 The pair have been friends for more than 27 years and Gates said he feels like “a kid in a candy store” whenever they are together – and not just because of Buffett’s famous sweet tooth. 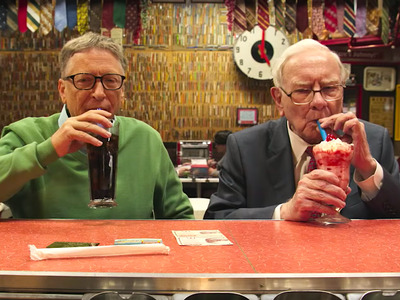 During the three-minute video, Gates and Buffett ruminate on their favourite candy. Peanut brittle was Gates’ choice, while Buffett was a little more conflicted, listing Cracker Jacks, Whoppers, and Milk Duds as he perused the shelves. “I like almost everything,” he laughed. The duo also swapped stories of their first business ventures, before they built their Microsoft and Berkshire Hathaway empires. Buffett’s first taste of entrepreneurialism came in the shape of pinball machines, a memory triggered by Fairmont Antiques & Mercantile’s collection of the arcade games. Buffett said it was the best thing he ever did. Bill Gates/YouTubeGates with Popular Electronics. Gates, meanwhile, found a 1974 edition of tech magazine Popular Electronics. It featured an article on the start of the personal computing industry, which proved to be the catalyst for the launch of Microsoft. Finally, the pair flicked through old records and had a sugary drink. Gates revealed that Willie Nelson sung on the eve of his wedding, while Buffett hummed Glenn Miller.